It is a great honor and pleasure that I write this preface to Masala Life. 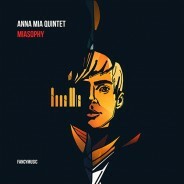 This album is the first solo release of the wonderful musician Oleg Grymov, who is also a great friend. We became friends at the Gnesin Academy, where we studied in the class of Professor Alexander Oseichuk. Even then, almost 20 years ago, Oleg struck me with a particularly subtle and heartfelt view of the arts. Having a clear approach with a scrupulous attitude to details, he was an inspiration to my own search for new approaches in the arts. I remember long winter evenings at the Academy talking about jazz, music and art. I learned a lot from Oleg in this period, both through communicating and performing together! Already since the beginning of the 2000s, Oleg was performing in leading Russian jazz bands of various stylistic orientations and, in particular, collaborating with the master of compositional experiments, Herman Lukyanov and his “Kadans”, playing in exotic projects of Alex Rostotsky, working in Igor Butman’s orchestra as well as participating in joint programs with foreign musicians touring both in Russia and abroad. For many years Oleg has been one of the leading jazz musicians in our country, masterfully performing on various instruments (all varieties of clarinets, saxophones and flutes) with a distinct and highly individual style. Oleg’s name is closely associated with the legendary orchestra named after Oleg Lundstrem, where he has been working for almost 10 years as a soloist and saxophone group leader. For FANCYMUSIC, this name is not new. It was Oleg Grymov who first performed the Concert for tenor saxophone and jazz orchestra of another jazz master – Yury Markin. Markin dedicated this concert to the memory of the original Soviet-era saxophonist Stanislav Grigoriev. 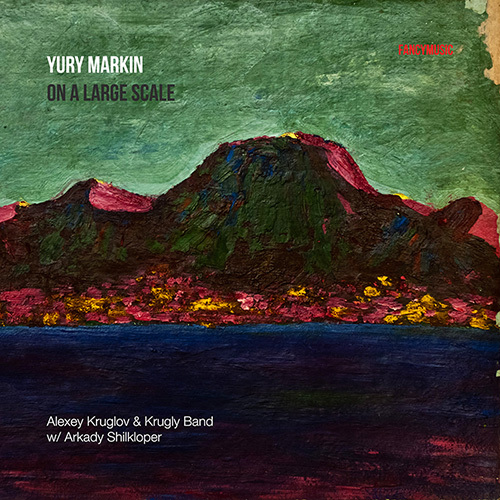 The piece was included in the unique double album On a Large Scale, published by FANCYMUSIC on the 75th anniversary of Yury Markin and representing the author’s work in the field of creating a large form in jazz. The project was recorded by the Krugly Band Orchestra under my own direction, a project in which Oleg played an extraordinarily important role not only performing the tenor saxophone concert, but also making distinct contributions to developing the bands style and aesthetic. 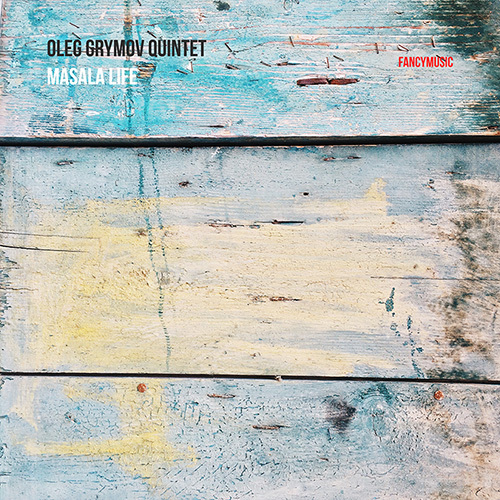 FANCYMUSIC is finally releasing a solo album by Oleg Grymov and his quintet! Almost all of the music is written by Oleg in the leading role. The album tells a unique story. The format of the work consists of hugely diverse pieces which, like floating images, sometimes rush into fabulously unknown spheres, sometimes immerse us deeply in thought or push us into the deep existential unknown. Each work is united by a certain delicacy of sound, with each members character audible in every masterful phrase. Each musician performs organically within a common framework, carefully listening to and responding with total sensitivity to the intonations of his colleagues. In Masala Life, the audience is offered an inviting space of rich associative moods and new jazz semantics. There are original, bright colors, painted compositions in immensely shaped and multifaceted tones. 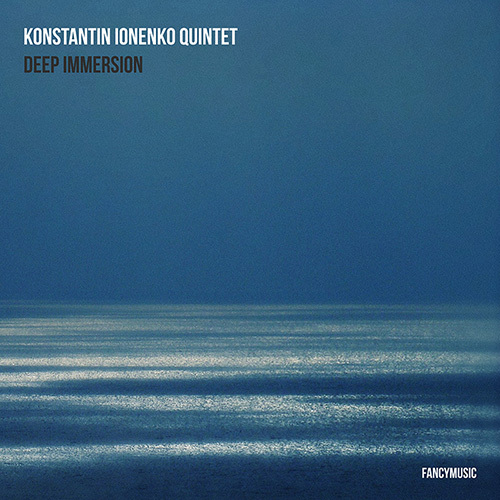 The listener can find a wealth of new experiences whether in the Indian frets and filigree melismatic of the soloist in the initial work of the album, the complex rhythmic palettes in the drums, the minimalist conceptual march of Tapestry (in the bright colourific appeal from Alexander Akhmayev to Vladimir Tarasov), the expanded polymetres in Walk in The Garden of Dreams, and the mysteriously coloured outlines of La cathédrale engloutie. We hear highly masterful, carefully woven improvisational energies throughout from Pavel Ershov. Particular charms can also be heard in the heartfelt lyrical ballads performed by pianists Evgeny Kulikov and Artem Tretyakov, a grounded and impenetrable bass accompaniment by Sergey Hutas. The truly individual soloist energy of the ensemble leader offers further unusual contrasts – from the meditative sound of the saxophone with its ornate melodies, to the exquisite post-bop idioms, the gentle breath of the flute to the deeply mysterious voice of the bass clarinet. Masala Life is, on one hand, an idealistic fantasy world of sonic exploration, whilst on the other it is a deeply personal musical reference to ontological and aesthetic questions of human existence and cultural interrelation. 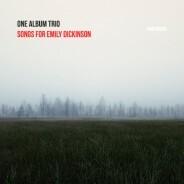 I am convinced that this album will take its place alongside the many other significant and timeless master works of jazz, not just in its appeal to improvisational complexities, but also from its uncompromising desire to engage with questions around infinite knowledge, beauty, peace, harmony and connection. These are vital questions that that have influenced artists and listeners alike for centuries.